3. the ingredients that make an act intentional. My students and I investigate how such beliefs influence basic attribution and stereotyping processes, as well as moral reasoning. Plaks, J. E. (Ed.). (2011). 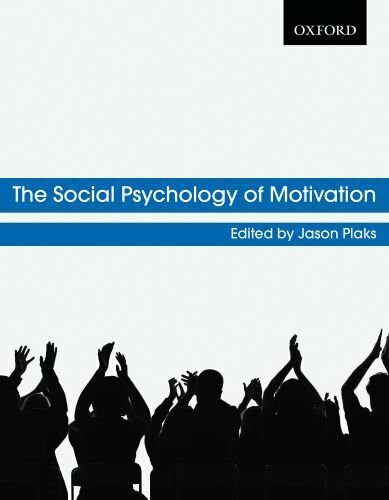 The social psychology of motivation. Toronto: Oxford University Press. Laurin, K. & Plaks, J.E. (2014). Religion and punishment: Opposing influences of orthopraxy and orthodoxy on reactions to unintentional acts. Social Psychological and Personality Science, 835-843. Plaks, J. E., McNichols, N. K, & Fortune, J. L. (2009). Thoughts versus deeds: Distal and proximal intent in lay judgments of moral responsibility. Personality and Social Psychology Bulletin, 35, 1687-1701. Plaks, J. E., & Stecher, K. (2007). Unexpected improvement, decline, and stasis: A prediction confidence perspective on achievement success and failure. Journal of Personality and Social Psychology, 93, 667-684. Robinson, J.S., Joel, S., & Plaks, J.E. (2015). Empathy for the group versus indifference to the victim: Effects of anxious versus avoidant attachment on utilitarian moral judgment. Journal of Experimental Social Psychology, 56, 139-152.